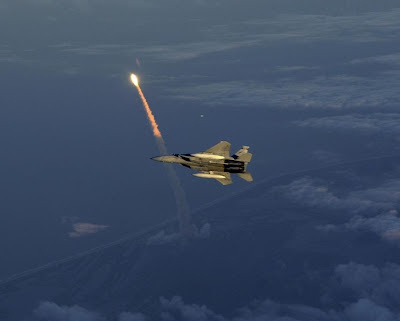 This is probably going to kill my bandwidth, but I thought you might like these two cool photos of F-15s flying over Kennedy Space Center during an unidentified Shuttle mission. I received them from a buddy who is still in the Air Force, but they may not be anything related to the latest mission. 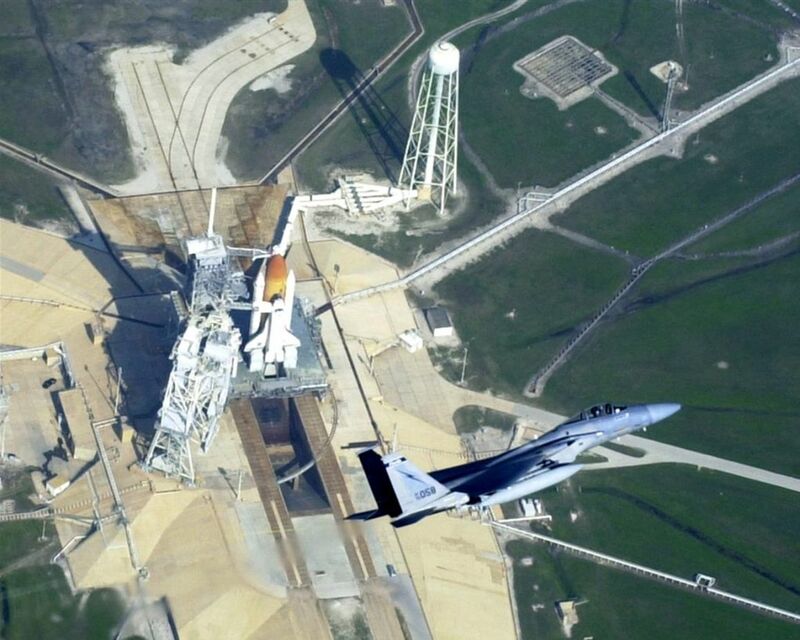 The photo at left shows an F-15 flying by the Space Shuttle as it sits on the launch pad. The photo at right shows an F-15 flying with the Shuttle roaring towards Earth orbit. 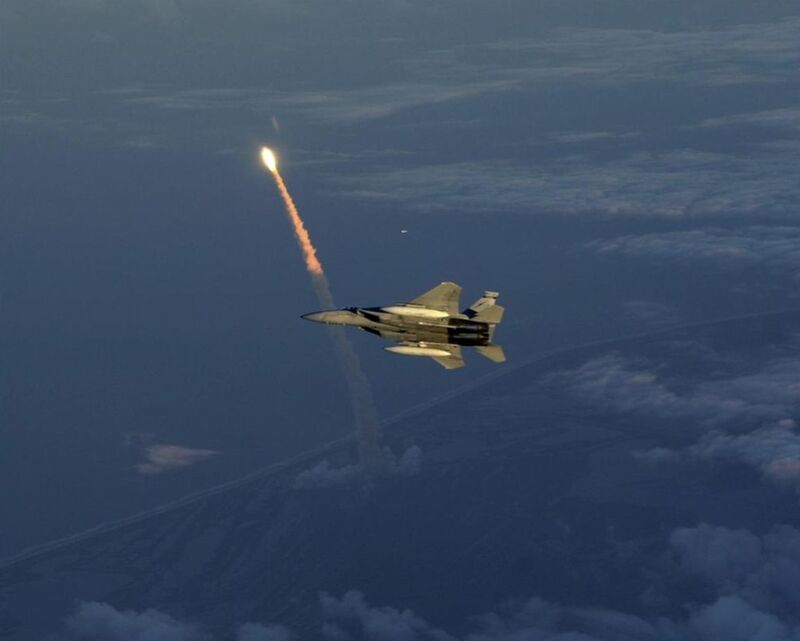 I got a ride in the two-seat F-15E Strike Eagle as a cadet at the Air Force Academy in the summer of 1992. Thanks for your comment. All of the photos in the link you sent were in the same batch from which I drew the two I posted. I have modified my post to indicate I don't know for sure when these photos were taken. Those photos were most probably taken from another F-15 flying formation. Better than that only a flight on an F-14 launching from a carrier! Has anyone witnessed a launch live?